Night Shyamalan has done in again. In that he has crafted a story with wonderful ideas and and plots that just is not as great as the sum of its parts. 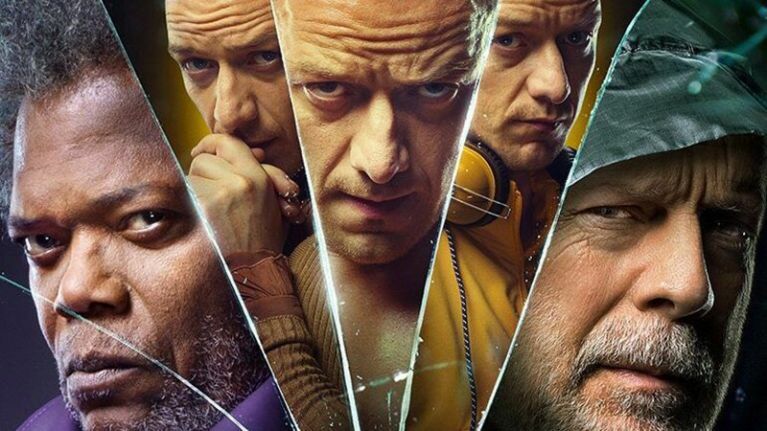 “Glass” is a sequel to Shyamalan’s previous films, “Unbreakable” and “Split”. The movie stars Bruce Willis as David Dunn, The Overseer, James McAvoy as Kevin Wendell Crumb, The Horde and Samuel L. Jackson as Elijah Price, the titular Mr. Glass. Almost two decades after the events of “Unbreakable”, David Dunn protects the city of Philadelphia as the Overseer with help from his son, Joseph Dunn (Spencer Treat Clark). Elijah Price, who referred to himself as the supervillain Mr. Glass, is still in a mental institution for orchestrating the train crash that left Dunn as the sole survivor, the catalyst that lead to Dunn’s discovery of his own powers and Elijah’s affirmation of his theories on superhumans. Shortly after the events of “Split”, Kevin Wendell Crumb is still a victim of his own psychosis. The Horde, the 23 different personalities that reside within him, have taken control and force him to kidnap victims to eventually be killed by The Beast, Crumb’s superpowered twenty-fourth personality. During a confrontation between Dunn and The Beast, they are subdued and taken to the same psychiatric facility that Price is housed at to treat their “delusions of grandeur”. Price sees this as a prime opportunity to show the world superhumans exist. With Price having teamed up with The Beast, Dunn will face his greatest challenge yet as he fights to stop them. Shyamalan returns once more to his deconstruction of the superhero genre with the third film in this trilogy. Existing in a world where Dunn, Price and Crumb are the only confirmed superhumans, the doctor that treats them views their beliefs in their powers as delusional and seeks to help them. The acting and music in this movie are certainly top of the line. Bruce Willis and Samuel L. Jackson slip back into the roles they played so long ago. James McAvoy meanwhile expertly plays his role as the multi-personalitied Kevin Wendell Crumb. Although not all of his personalities come to the forefront, the sheer amount of character types that McAvoy manages to play convincingly is absolutely astounding. McAvoy’s acting range is on full display in this movie. As has been the norm for Shyamalan in the past, a number of wonderful and interesting ideas is not enough to when they are not arrayed correctly. The acting and music throughout the movie is amazing. The buildup and suspense is expertly weaved through the first and second acts. However, like a plane trying to touchdown in the Grand Canyon, it just does not stick the landing. The climax to the movie’s build up leaves with a sense that maybe there could have been something more. Maybe it could have been done in a different way that did the movie’s first two acts justice. “Glass” is certainly not a bad movie. In fact, it is quite enjoyable. While not your standard fare superhero movie, its unique ideas are enticing to the audience. However, people who have been waiting for the final confrontation between Dunn and Price and a satisfying conclusion to Crumb’s tragic story are going to be left disappointed.